It’s back to school time. Checking to see whether or not your kids got off the bus doesn’t have to be a hassle. In fact, you don’t even have to be there in person to do so. Skybell Video doorbells have 11 easy-to-use features to protect your home and family. Allow multiple people to receive alerts to answer the door and/or enable multiple devices on each account. 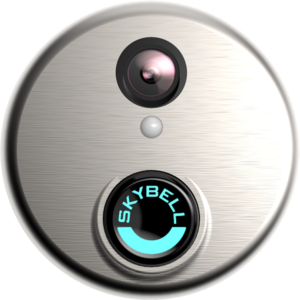 The Skybell Video Doorbell is available in-store for $199.99 or online. This article was posted in Security, Shop, Store and tagged Features, HD Video, Live Monitoring, Motion Sensor, Skybell Video Doorbell. Bookmark the permalink. Follow comments with the RSS feed for this post.Post a Comment or leave a trackback: Trackback URL.